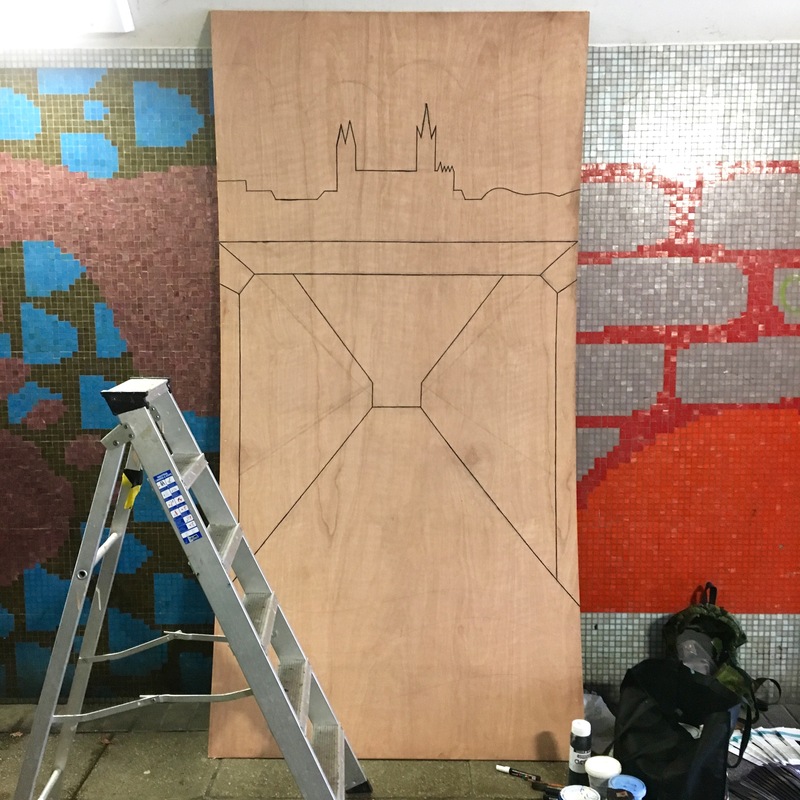 Truro Arts Festival 2016 Live Painting. 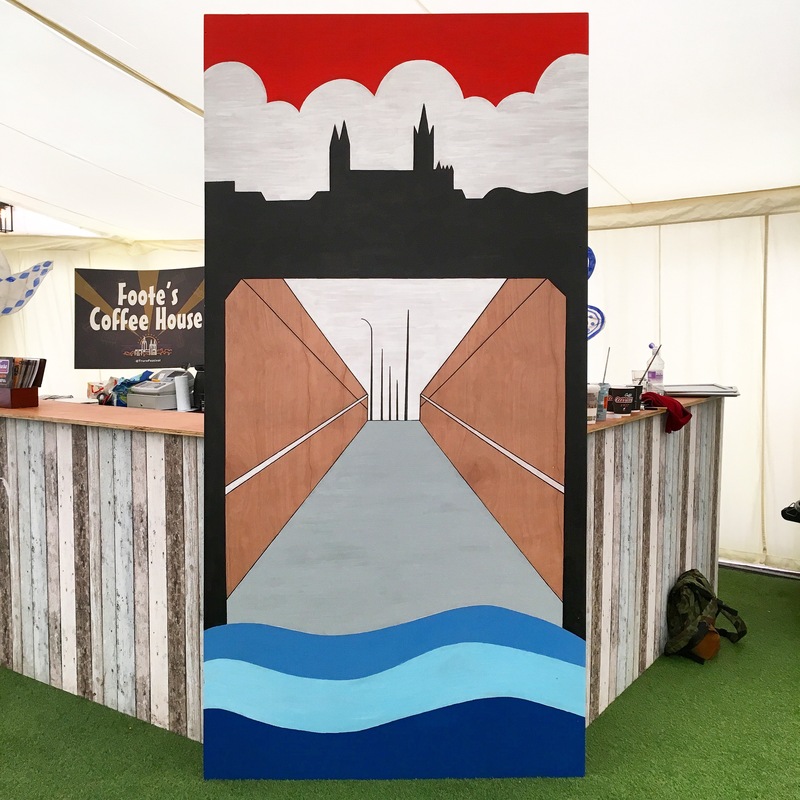 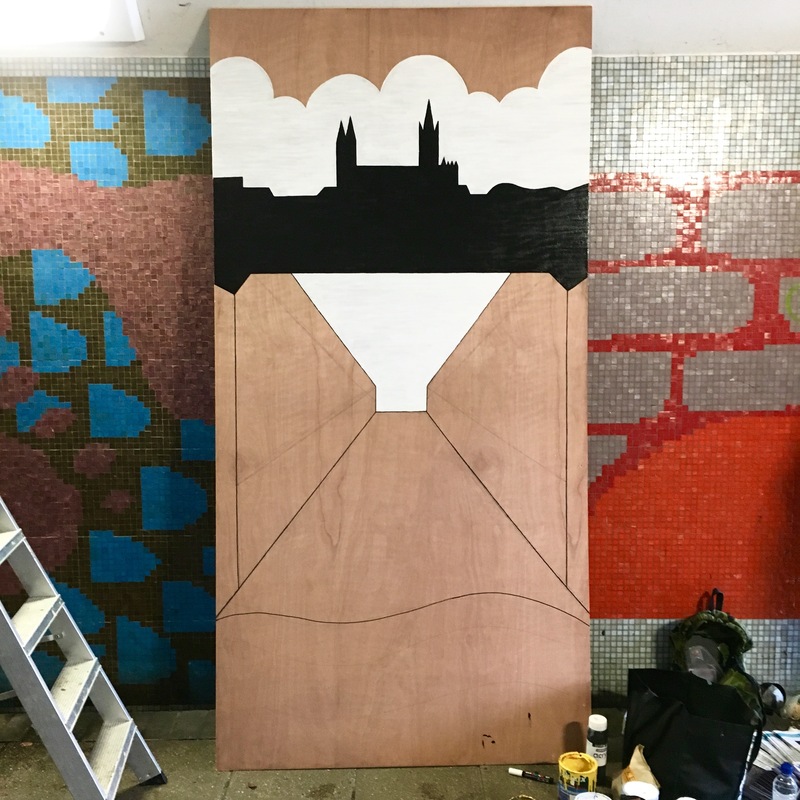 As part of Truro Arts Festival, myself and fellow artists, Tom Sutcliffe and Faye Dobinson were asked to participate in some live painting to help promote the Festival. 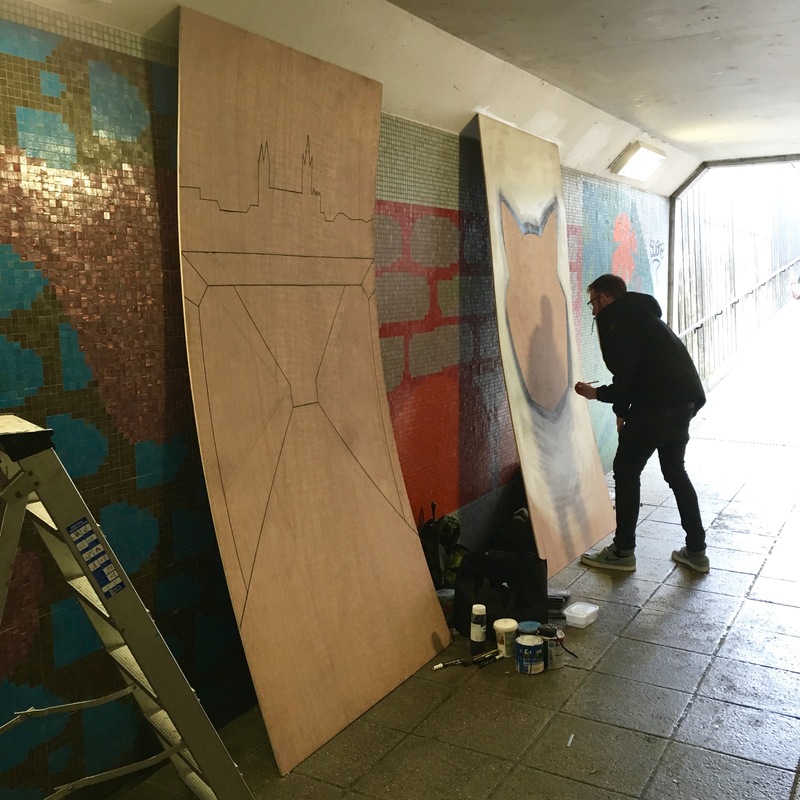 Me and Tom braved the cold and wet, and set up shop in Lemon Quay underpass, and started painting on 8′ x 4′ sheets of ply wood. 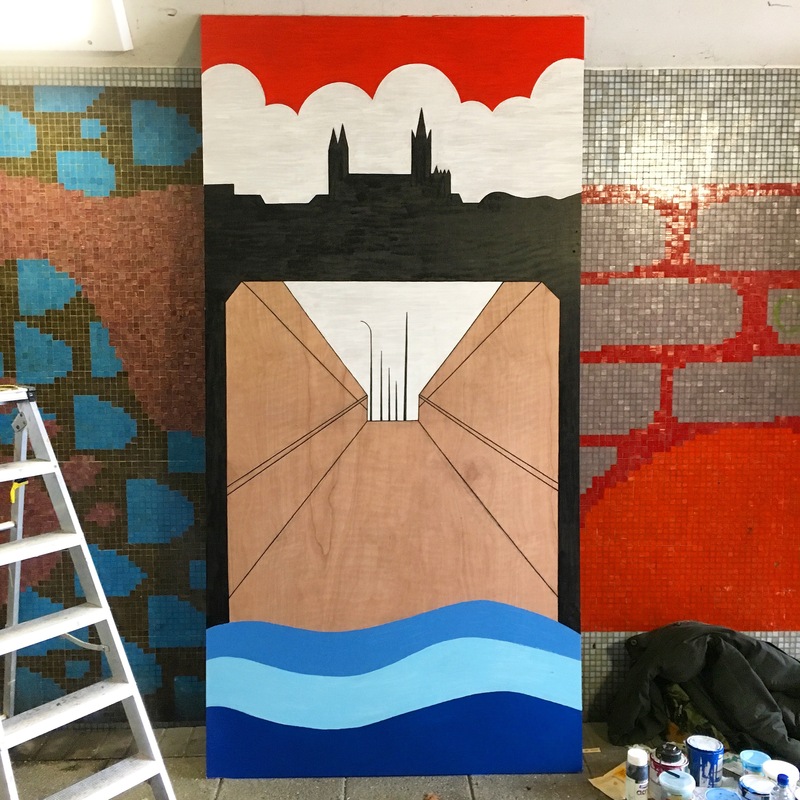 My piece was inspired by the view from the underpass itself! 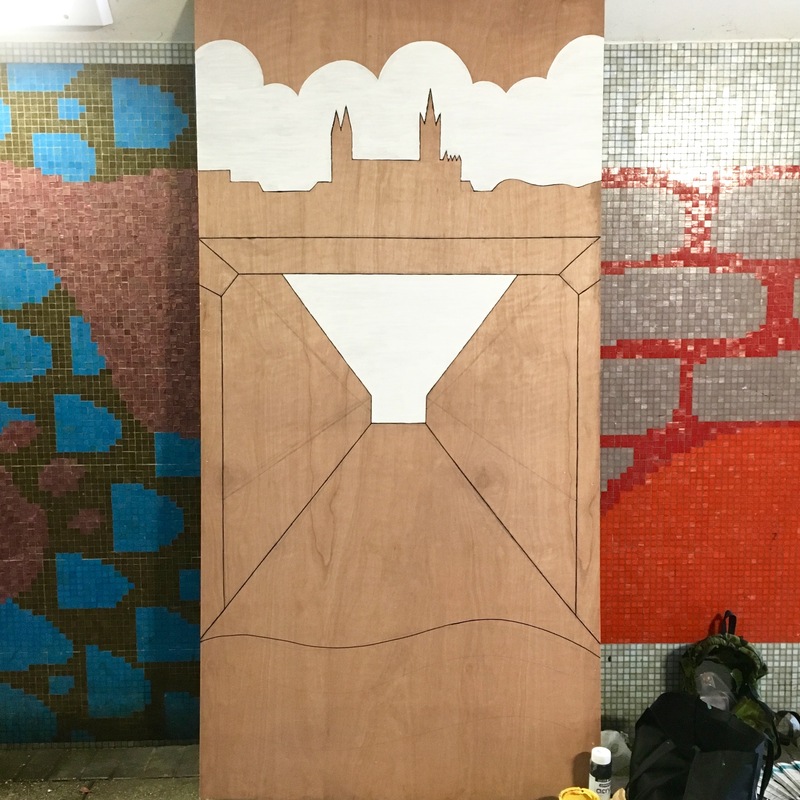 Acrylic paint and Posca pen on ply wood.